Cover Reads: If, By Recycle, You Mean Repeatedly Making Terrible Life Choices Then, Yes, I Recycle. 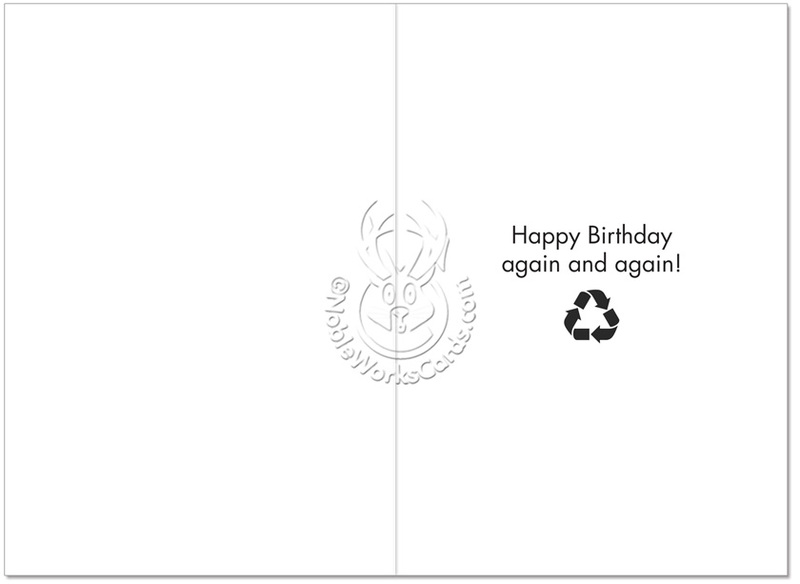 Making each birthday unique means avoiding repetition, unless that repetition comes in the form of the hilarious Yes I Recycle Birthday Joke Card available at NobleWorks Cards. 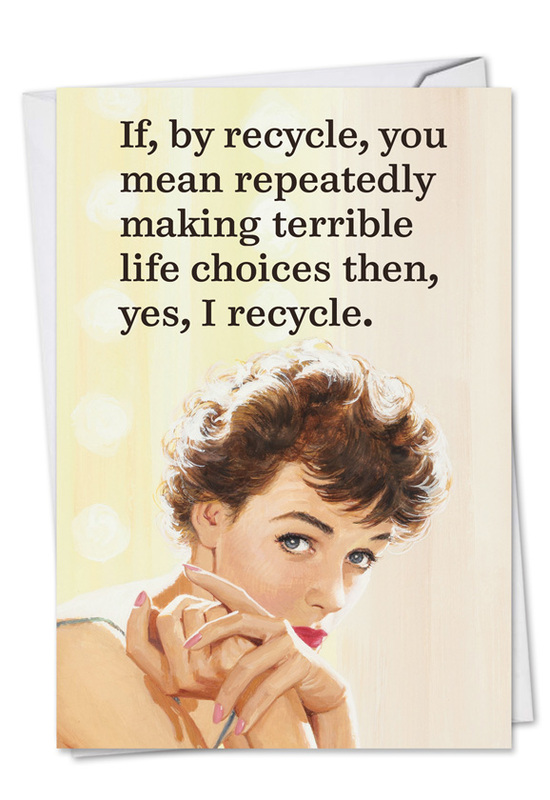 Illustrated by Ephemera and part of the Talk Bubbles product line, the Yes I Recycle Card lampoons the notion of environmental consciousness in the form of a retro-looking woman whose dysfunction is played for laughs. 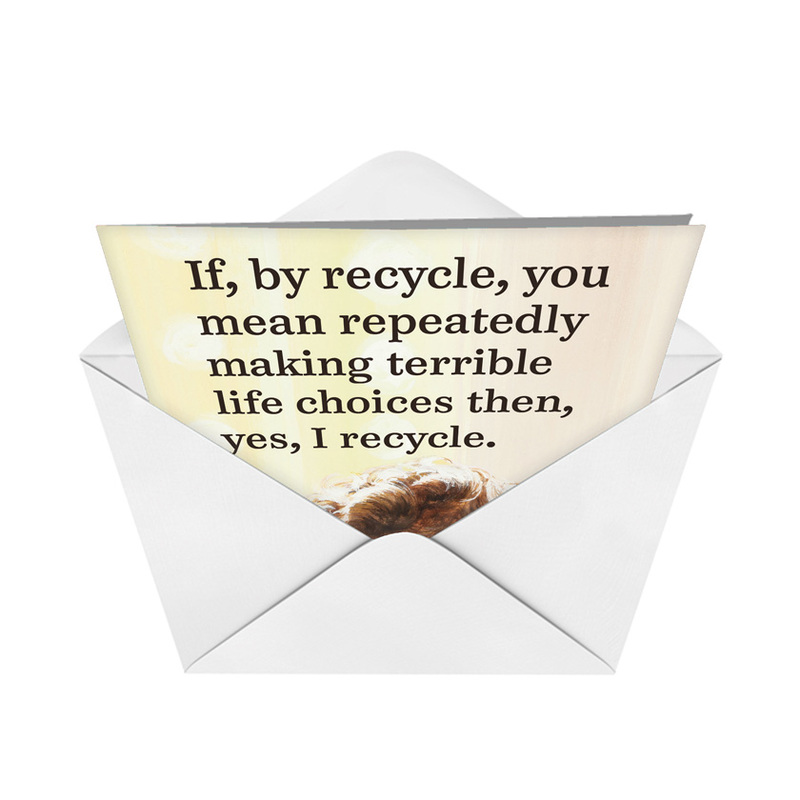 The card itself is, ironically, printed in recycled paper culled from mixed sources, and it's made in the U.S. NobleWorks Cards makes it okay to laugh at ourselves, not to mention exploding the boundaries of good taste in a quest for the biggest laughs possible. 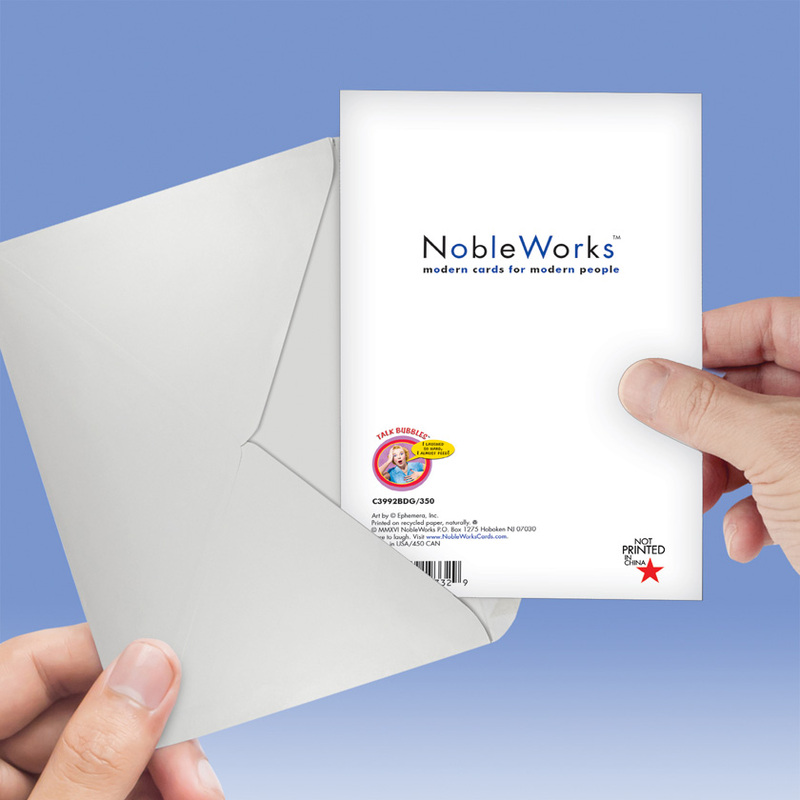 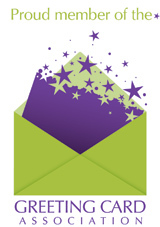 Order the card and get it with free shipping, and take advantage of NobleWorks' bulk pricing policy on multiple orders.